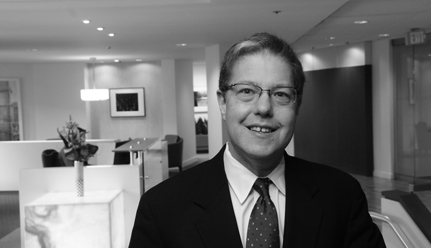 Sean Lev rejoined the firm as a partner in April 2014. Over more than 20 years, and in both private practice and public service, Sean’s work has focused on solving complex regulatory problems and on administrative and appellate litigation. Sean served as the General Counsel of the Federal Communications Commission from June 2012 through December 2013. In that role, Sean was responsible for all legal advice provided to the Commission, including Chairman Wheeler, Acting Chairwoman Clyburn, and Chairman Genachowski. Sean was also responsible for all Commission litigation. Among other things, Sean argued the Open Internet case for the Commission in the D.C. Circuit and oversaw the federal court defense of the Commission’s overhaul of its Intercarrier Compensation and Universal Service regimes. Sean was also heavily involved in the Commission’s review of major transactions and served as Director of the Commission’s Technology Transitions Policy Task Force. Prior to being named General Counsel, Sean served as Deputy General Counsel and Senior Advisor to the Chairman. Before coming to the FCC, Sean was designated by President Obama to serve as the Acting General Counsel of the United States Department of Energy (DOE) from March through December 2011. In that role, he was the chief legal officer for the Department, and provided advice on the full range of issues relevant to the Department’s mission, including those involving energy efficiency and renewable energy, oil and gas, environmental remediation, nuclear energy, and national security. Sean also served as the Deputy General Counsel for Environment and Nuclear Programs at DOE beginning in June 2009.